Recognize a Home or Business! Whether it’s floral displays, ornamental designs, attractive xeriscaping or great property maintenance, salute your neighbours and community volunteers for their hard work in beautifying our community. To nominate a home or business, you must complete the form below in full. Please be advised that displays must be located in the front yard and be visible for public viewing. To be eligible, properties must be within the Village limits. 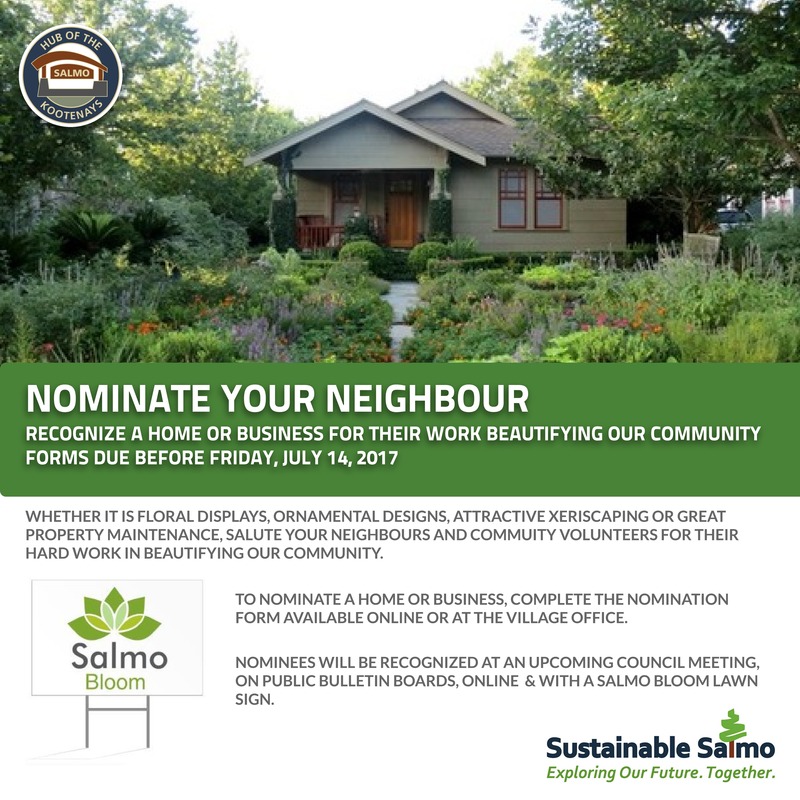 This nomination form must be submitted before Friday, July 14, 2017 to the Chief Administrative Officer at the Village Office, 423 Davies Avenue, Salmo BC or via email to [email protected]. 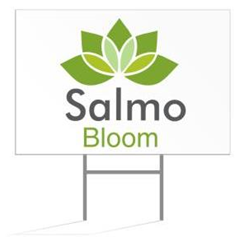 If approved, your nominee will be recognized at an upcoming Council meeting, on Village bulletin boards and online (website & social media) and have a “Salmo Bloom” lawn sign placed on their property in advance of the Communities in Bloom 2017 judges arrival in July.